But now the North Korean government is claiming it was not being the attacks—and it is threatening retaliation. A statement on North Korean official state media said, “"Our toughest counteraction will be boldly taken against the White House, the Pentagon and the whole U.S. mainland, the cesspool of terrorism," CNN reports. Meanwhile the hackers, who call themselves “Guardians of Peace” posted a YouTube video titled “You are an Idiot” that mocks the FBI investigation. 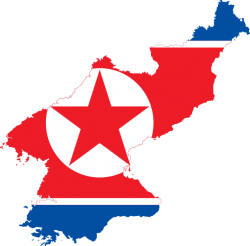 The FBI has issued a statement indicated it linked malware and infrastructure used in the Sony cyber-attack to past cyber-attacks by the North Korean regime. President Obama has said the U.S. will respond at an appropriate time and that the actions may prompt the U.S. to add North Korean back onto a list of states that sponsor terrorism. The President also indicated he believed Sony erred in pulling the film, though Sony has said it had no choice after theaters refused to show it. Sony has indicated that it is exploring other options to release the film in the future. Sony attorney David Boise, speaking on Meet the Press, said, “How it's going to be distributed, I don't think anybody knows quite yet. But it's going to be distributed. And what Sony has been trying to do is to get the picture out to the public. But, at the same time, be sure that the rights of its employees and the rights of the movie-going public are protected."